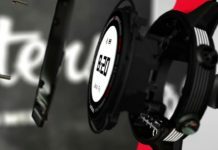 Pebble Time, one of the most famous names in the Smartwatch world, unveiled its recent wearable device Pebble Core on Kickstarter just a few days ago. 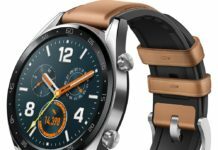 The different thing about this wearable is that it varies in features from all the other company’s products. 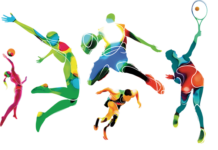 What makes it different is that it is not aimed towards fitness but it is designed for runners. 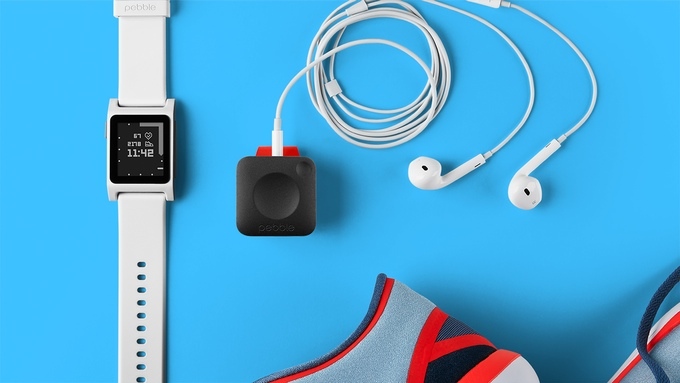 This small wearable has GPS tracking which can sync all the data with the running apps. It also has 3G and Bluetooth connectivity, specifically functional for the runners. Pebble Core has programmable buttons for controlling the features of the watch. It also has voice memos; headphone jack and one tap access to the connected Pebble app. With the help of Pebble App, the users will also be able to create their own custom app which will allow them to do various functions like order an Uber or program one tap on The Core to open internet-connected garage door. The Pebble Core can track you easily wherever you and then share that data with a variety of services. These currently are Google Fit, Strava, Under Armour Record, Runtastic, and MapMyRun. You will also be able to download your GPS files to use on another platform as well. The users can also record voice notes too. 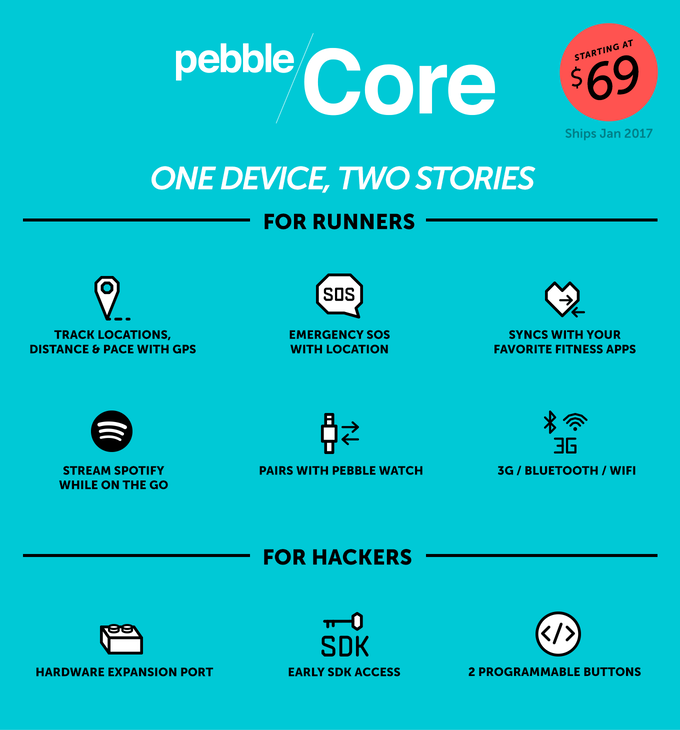 Pebble Core will also stream your music from Spotify™, will track your workouts with GPS, and will give users the power of Alexa–all from the palm of your hand. Pebble Core is built on Android and will use the PebbleKit JS component. The Core has no screen, but it has a battery life of nine hours within constant use. The most successful Kickstarter campaign in history was run by Pebble Time and you can also back your Core from there. The Pebble Core will cost you 69 $ and will ship by January 2017. The Core was announced with two other devices on their Kickstarter site, the Pebble 2 and Pebble Time 2.